This work, a photograph of an old marble table plate in Villa Waldberta (near Munich) is an exceptional image in a series of landscape photographs which have the appearance of a model. Most of these images were taken in an area undergoing rapid change, and try to capture a "decisive moment" in a landscape. The images wish to make the spectator aware to the act of representation; transformation from three dimensionality into two, and so forth. 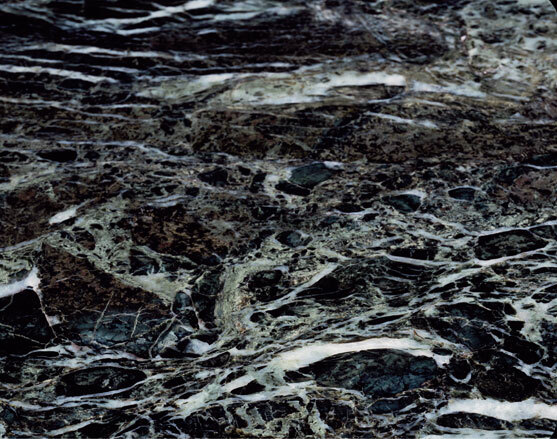 Marble Sea is a variation of this series as well as a part of it.